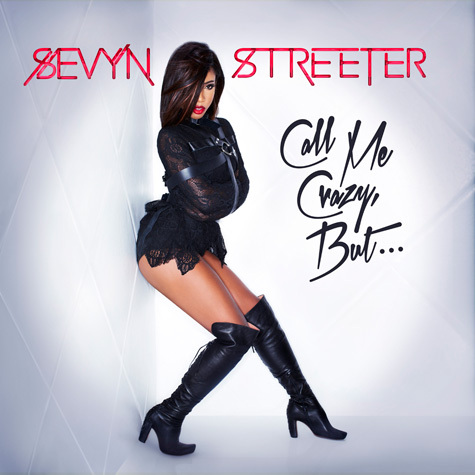 Sevyn Streeter has previewed a new song online. “nEXt” is lifted from the singer/songwriter’s debut extended play, “Call Me Crazy, But…,” out on December 3 via Warner Music Group / Atlantic Records. The track was produced by Dernst Emile, whose recent credits include “Living It Up” by Ciara [Epic Records], “Black Tears” by Tamar Braxton [Streamline Records] and “Unfinished Songs” by Celine Dion [Columbia Records]. Other artists the music producer – better known as D’Mile – has worked with include Diggy Simmons (“Glow in the Dark”), Wynter Gordon (“Back to You”), Kevin McCall (“Guess Who”) and Janet Jackson (“Feedback”). Meanwhile, Sevyn – born Amber Streeter – has recently penned songs on the latest albums by Ariana Grande (“The Way”), Kelly Rowland (“Put Your Name on It”), Tamar Braxton (“Pieces”) and Chris Brown (“Fine China”). Watch the video preview for “nEXt” below.